I’m finally getting around to posting some of the goodies I made for the holidays. 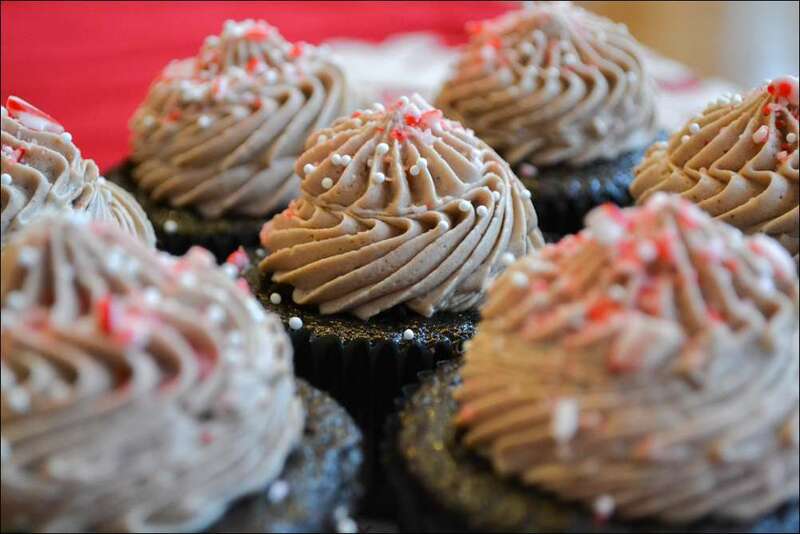 And what says “holiday” better than peppermint and chocolate? 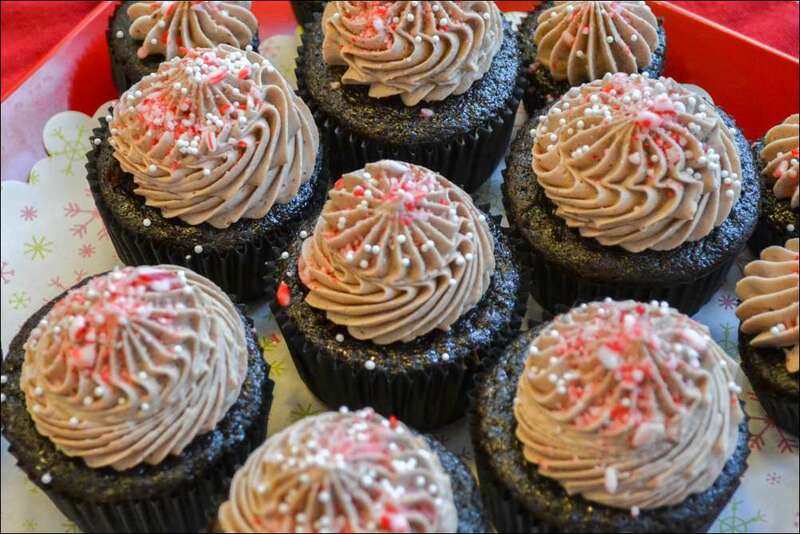 These are double-chocolate cupcakes filled with chocolate mousse and topped with a swirl of chocolate-peppermint buttercream. I made them both in regular and mini-sized…a perfect little bite. Kind of like hot cocoa with a peppermint stick! Not just for the holidays–anytime!